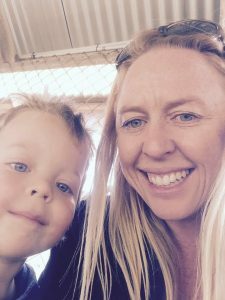 My name is Bec, mum of four amazing children, and I write from my Facebook page ‘Mum Plus Four’. Chantelle has kindly asked me to share about my very popular DIY Christmas hamper that I shared a few weeks back. At the beginning of my Christmas countdown posts, I asked readers to start writing out lists. Everything from Christmas cards lists to gifts and Secret Santa. But for this special task, we focused on Christmas make and bake treats. After writing down the recipes, the ingredients are then listed to create a ‘hamper’ of personalised items. I’ve done this for many years and found it so much cheaper than the major hampers that you pay off weekly over the year and as it’s personalised, nothing goes to waste! I then suggested starting a ‘$5 budget buster challenge’ to shop for these items each major grocery shop. That is: You have $5 each week to try and buy one or two of the ingredients from the list (and don’t forget to cross them off once bought). That way, your financial budget won’t be as stretched come December! The last step is to then store all the ingredients in a sealable container/tub until December and you’re ready to start baking up a storm. As a tip, leave the perishable items till the week before use (unless you’re happy to store correctly and not use until needed). We also make up a similar DIY Christmas hamper version to hand to a local church/community group to give to a local family in need. Thank you so much for inviting me to share in the Christmas festivities!